A contemporary and attractive lectern with acrylic panel suitable for branding. Powder coated steel frame in a grey finish and grey top. 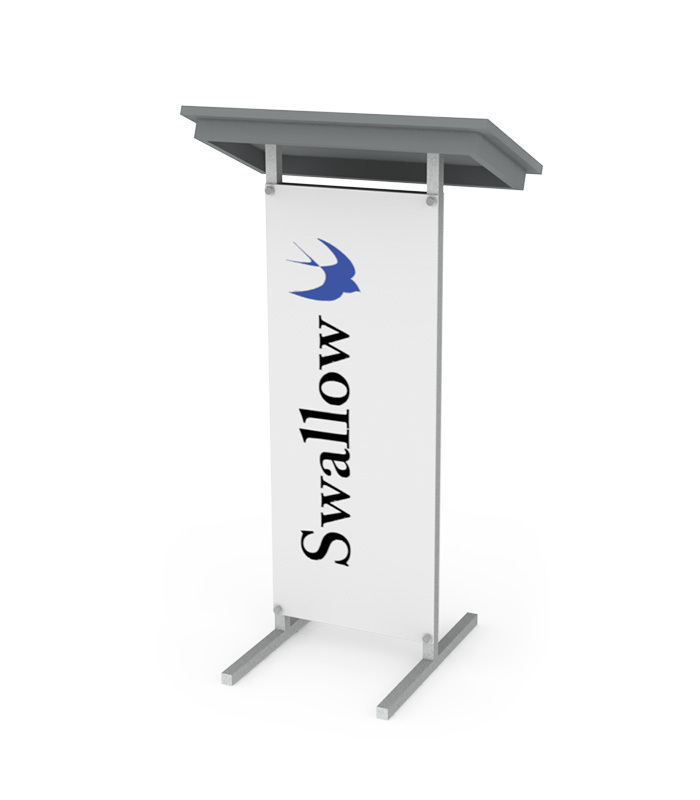 The Swallow lectern is a contemporary and attractive lectern with acrylic panel. Powder coated steel frame in a grey finish and grey top. 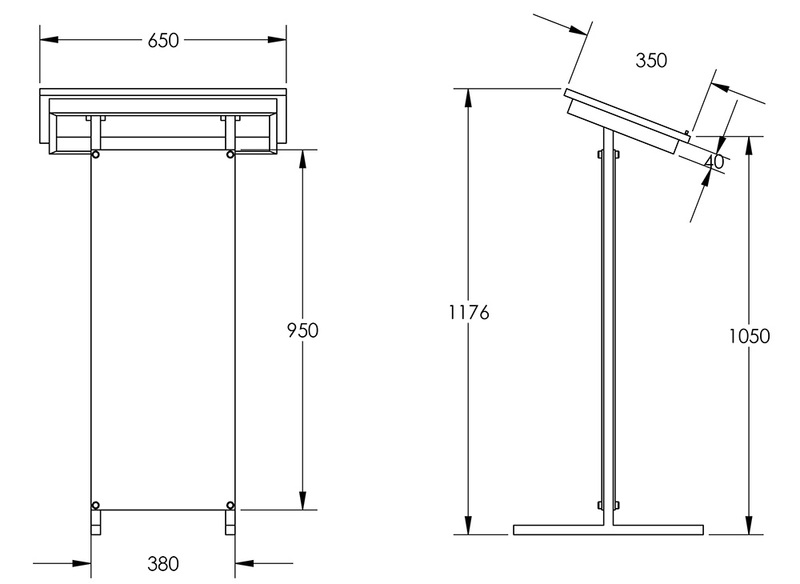 In addition, the opal acrylic front panel can incorporate a logo. 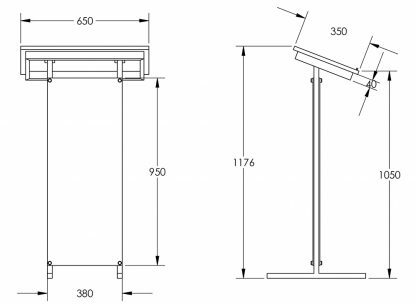 JM Supplies specialises in producing high quality Audio-Visual furniture and lecterns. Also, we have a reputation for delivering high quality products on time, and in perfect condition. 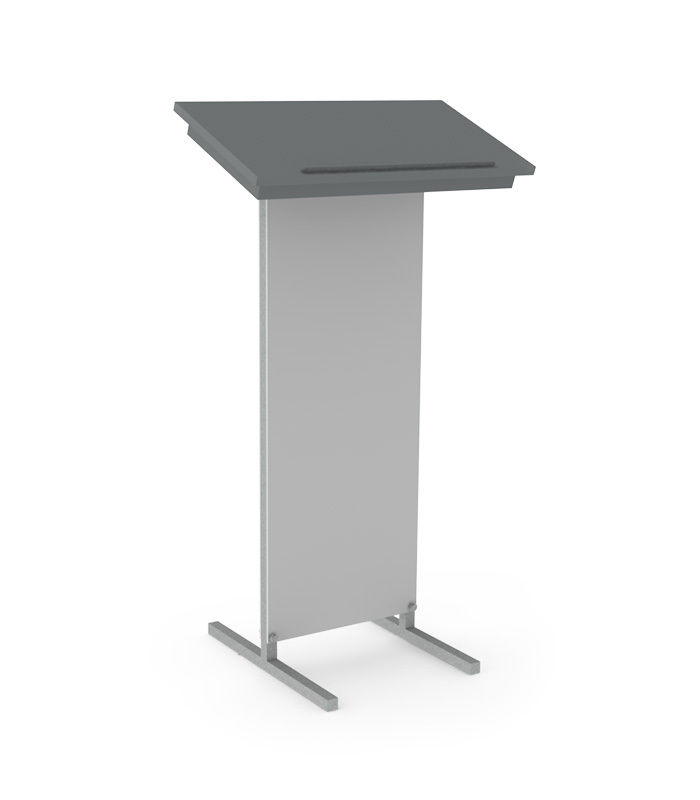 Furthermore, our lecterns are customisable including housing of AV equipment, monitors, and control panels. The Kestrel lectern is one of our most popular lecterns and is a good example of how we mix materials and use superior coloured lacquer finishes. JM Supplies are always on hand and happy to help you with your furniture needs, including bespoke design service. Auditoriums, classrooms, conference rooms and stages, seminar rooms, lecture theatres, and churches are perfect for this lectern.